Apologies its been a while since I posted which is because the app I use for blogging via my iphone and ipad is no longer supported by Apples so access via my desktop and google chrome is the only way in these days. Painful and I will need to look for a revised platform to accommodate as soon as. So a quick 'precis' of the property petrolhead in early 2017. 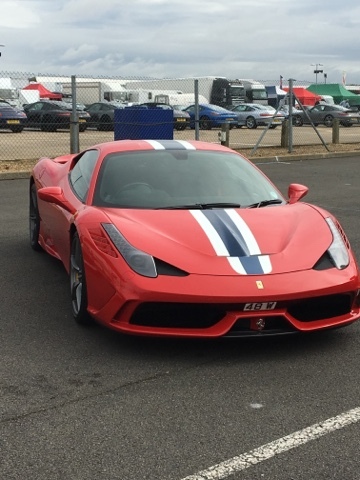 MIPIM is just around the corner which will mean a proper drive out in the Ferrari with a bunch of like minded enthusiasts. I might see some of you down there hopefully. 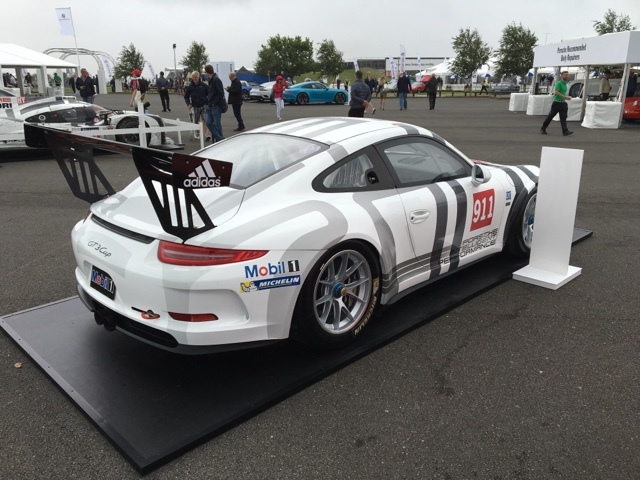 Prior to that we get the first track day out in the new season's race car which is a MY 2014 Porsche 997 Carrera Cup car (yes exactly the same as the once I wrote off last year), hopefully this one will stay in better condition for much much longer. At the moment its perfect. 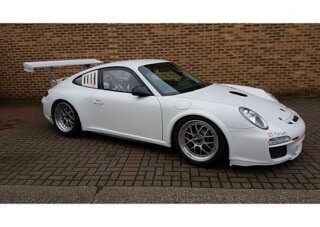 That will be on the 7th March at Donnington. 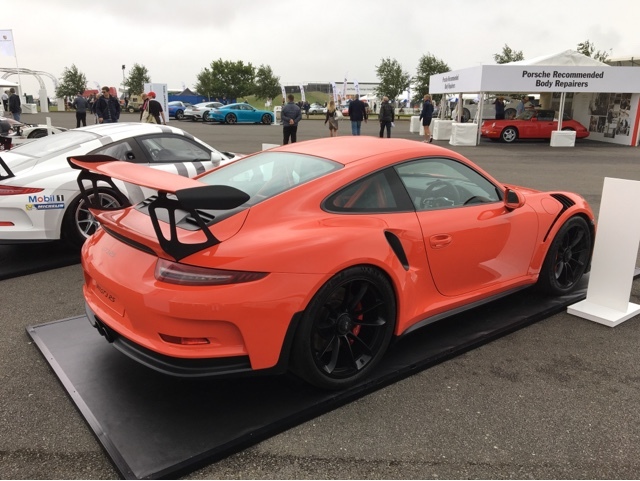 Thereafter it will be out again at Silverstone and Brands GP before my race season begins which will be at Donnington on 22/23rd April for a full weekend with GT Cup. Next week we pick up a 595 Abarth on black to keep which will I am sure be great fun. 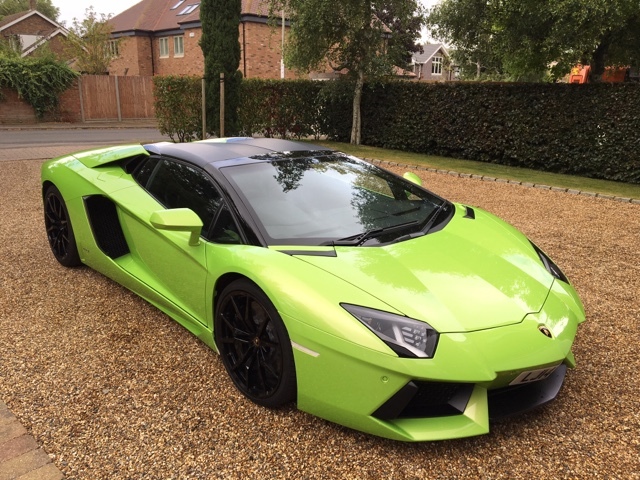 Its comes as a deal to rejoin the supercar club Autovivendi which I did last year. 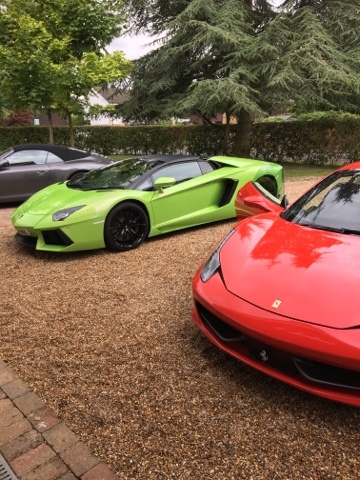 They have some great kit now, I have taken out the Aventador spider, McLaren 650s and best so far the 488GTB which is definitely on the desire list. Mind you they now have the 488 spider in bright blue which just looks awesome. I was at HR Owen the other week to see the new 488 race car, awesome bit of kit and felt fantastic once inside. 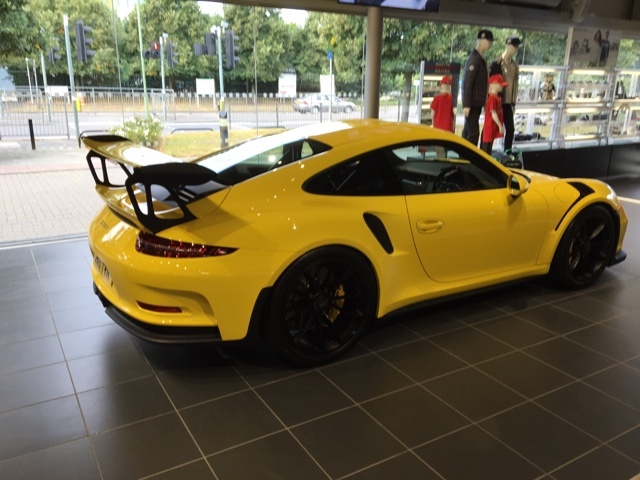 Must tell the mind to focus on the new race car (997) not a 'future' one. Lots of events looming, weekend drives, track days, race weekends and shows and tours to talk about. 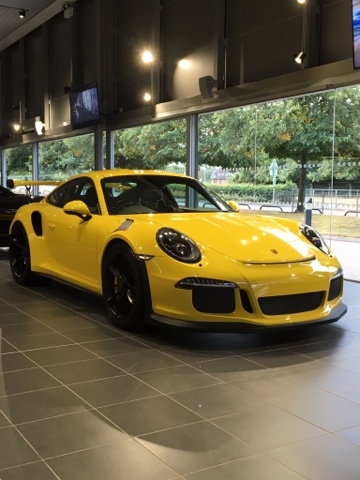 Here is the new car after purchase and before it had the Holinger flappy paddle gear system fitted, the new race seat from Porsche added, the replacement rear vented windows which had been damaged replaced. First test day 7th March at Donington so feel free to come along and watch and or have a ride. Anyone going tomorrow to the NEC? I dropped into Hatfiled on Saturday am to pick up our cab and saw this unusual colour RS. 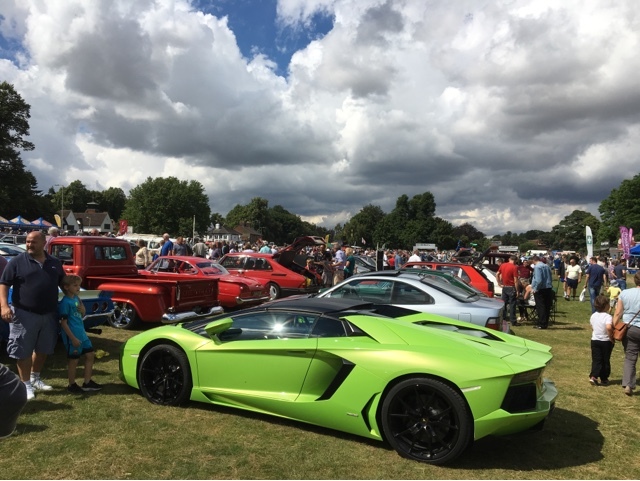 We are a week away from the main event each year on Harpenden, over 1200 cars and bikes in a large car show, which is next Wednesday night. 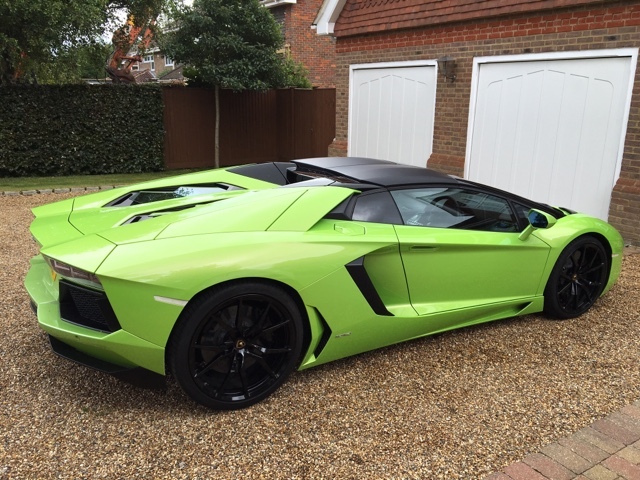 Watch out for the latest car as I will be in a Lambo Aventador spider in lime green, I suspect you won't miss it!